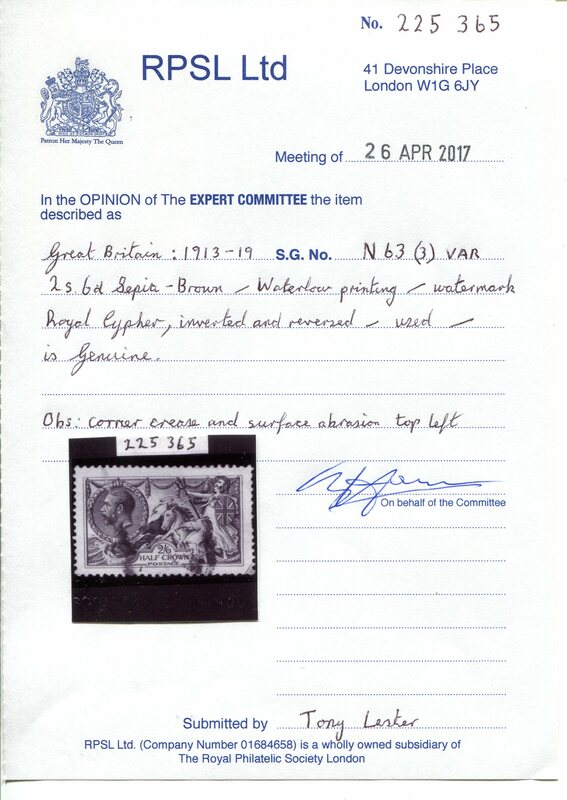 Tony Lester has recently discovered a 1913 Waterlow 2/6d used with watermark inverted and reversed, and the item has a 2017 RPS certificate. 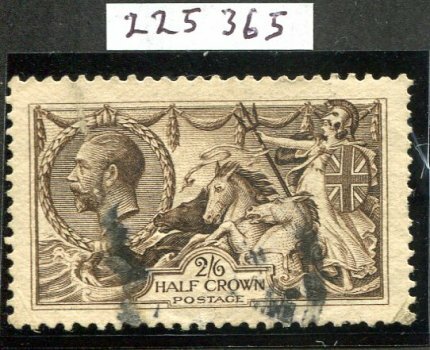 The stamp has a corner crease and surface rub, but is probably unique. No watermark varieties have previously been recorded on the 1913 Waterlow Seahorses, and it therefore stands alongside the De La Rue 10/- with inverted and reversed watermark (also one recorded) as being the scarcest Seahorse stamp in existence. The stamp will appear in a forthcoming Tony Lester Auction. Catalogues are available free on request.